As a groomer, do you often encounter fearful or overexcited dogs who can hardly bear the grooming process and would rather escape from the table? Make grooming faster and simpler! 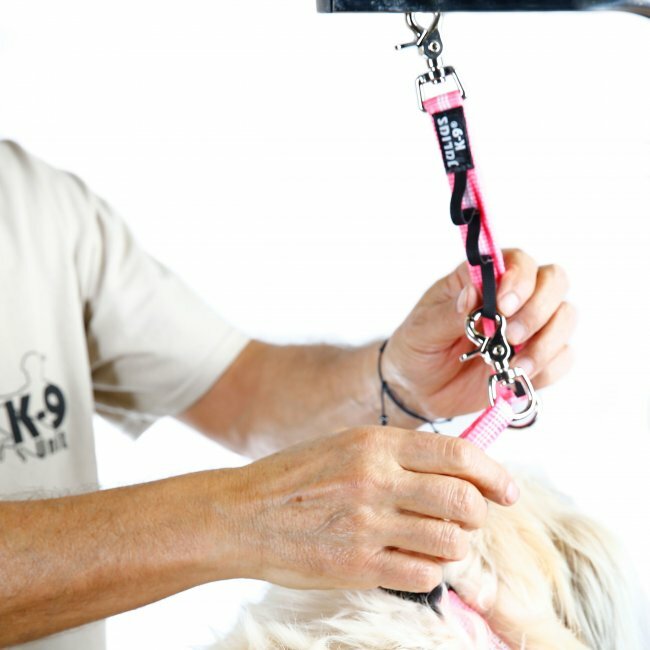 Restrain dogs comfortably and safely, make grooming a pleasure for everyone! By means of the restraint adapter for dog grooming arms the restraint leash on the dog can be simply connected at different heights. In addition to the metal ring at the end of the adapter, there are five strong loops at a distance of 3 cm from each other for connecting the leash, thus the dog can be restrained quickly at a height comfortable to it without the need to adjust the leash. 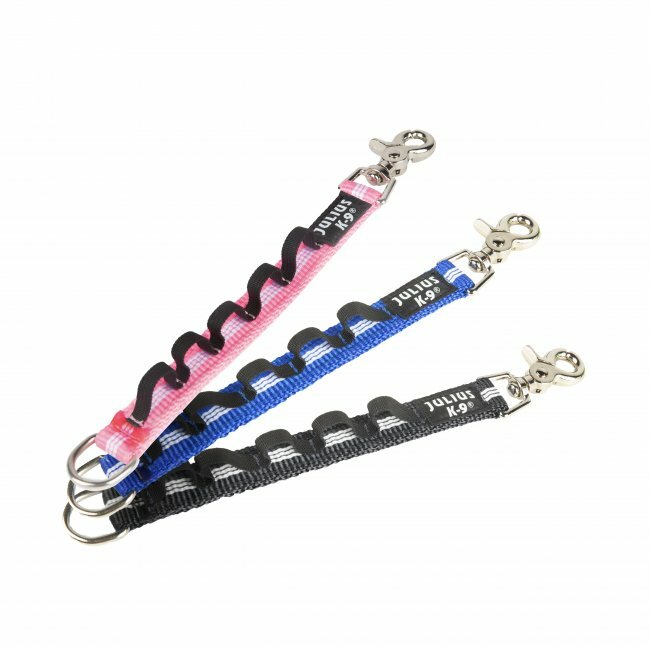 If you choose the double adapter, 5 more connection points are available - for especially overexcited dogs the haunch holder can be connected to the horizontal section, while the restraint leash attached to the neck of the dog can be connected to the vertical section.